Today is week 3 in the great Woolworths change race. Splitting up my groceries at the self checkout, feeding my note in and seeing how many shiny new $2 coins I’ll get is getting a bit tedious and I am starting to get strange looks. 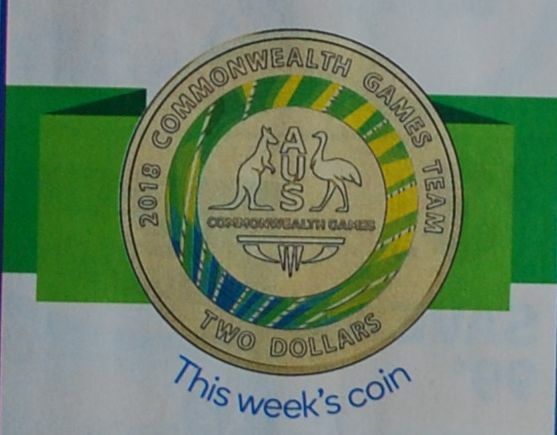 Today begins week 3 and this weeks coin is the green and gold Commonwealth Games Team coin, even though I’ve come home from my shopping trek today with blue Borobi’s! 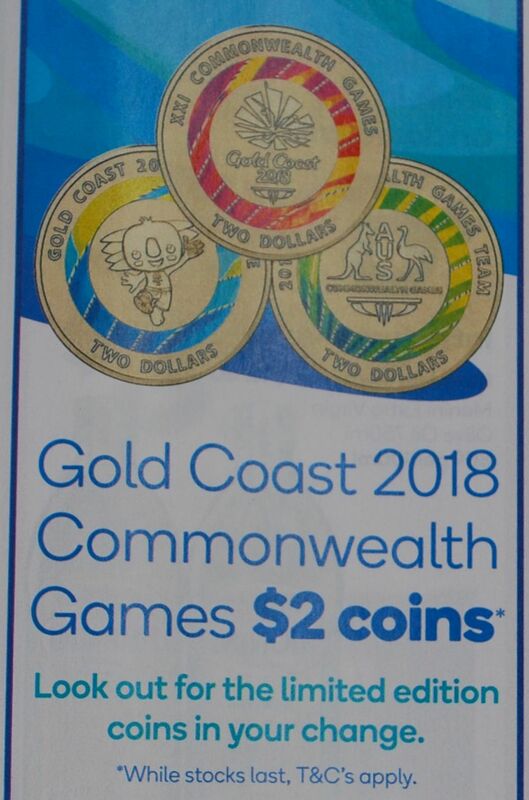 This weeks coin should be available for the next 2 weeks into the first week of the Games being held in Queensland. So keep an eye out for these coins in your change and if you’re really serious, yes, buy that whole hand of bananas one at a time!! We are not advocating asking your checkout attendant to give multiple coins or whole bags of coins as there are limits and this is against Woolworths policy.